On September 22, 2016, the General Chapter of the Subiaco Cassinese Congregation elected Abbot Guillermo Arboleda Tamayo, O.S.B., abbot of the Abbey of Santa Maria of Medellin and Administrator of Guatapè (Colombia) to be the new Abbot President. He succeeds Abbot Bruno Marin who has served as Abbot President of our Congregation since 2004. Abbot President Guillermo was born in 1956. 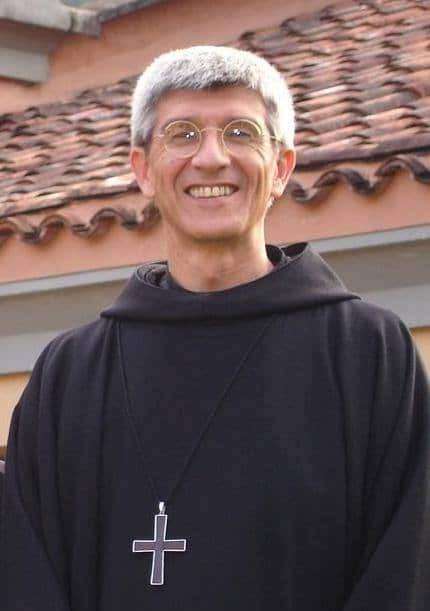 In 1991 he was elected the Conventual Prior of Santa María de la Epifanía (Guatapè), Rionegro-Antioquia, Colombia, and then elected the community’s first abbot in 1999. Then in 2014 he became administrator of the Abbey of Santa Maria of Medellin, before being postulated the abbot of that community. Abbot Guillermo becomes the first Abbot President of the Subiaco Cassinese Congregation from the Americas. We at Christ in the Desert know Abbot Guillermo very well as he has visited us numerous times over the years. He and our Prior Christian were students together at Sant’Anselmo in Rome in the mid-1980’s.